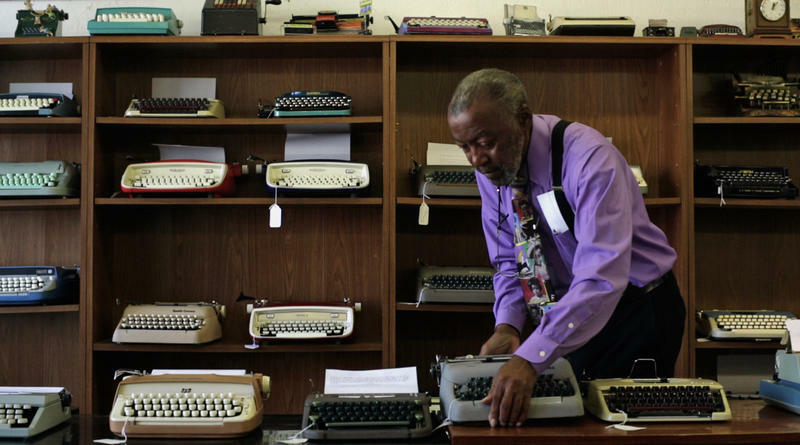 Filmmaker Doug Nichol’s new documentary is a tribute to typewriters. In an age of high-tech, do-it-all gadgetry, the typewriter may be on the edge of extinction, but it still offers artists of all stripes unique access to the creative spirit. On Tuesday, November 21, RadioWest and the Utah Film Center will present a free screening of Doug Nichol's documentary film California Typewriter as part of our Through the Lens series. It's at 7:00 p.m. at the Main Library in downtown Salt Lake City. Immediately following the film, Nichol, typewriter repairman Ken Alexander, and artist Jeremy Mayer will join us for a Q-and-A via Skype. You can get more information, and invite your friends, through our Facebook event.